Have you noticed the night time temperatures have been dropping? I especially noticed this morning…waking up to 29 degrees…brrrr…the days of 70 are now a distant memory. This time of year is critical for your Koi fish, as well as your pond. What you do now will determine what spring will look like for your pond and fish. Since we want you to enjoy your Koi pond and fish year after year, we’ve come up with our top 3 winter maintenance tips for your Koi pond. A lot of people skip the fall cleaning for their pond and just opt to shut everything down, but this is reflected in water quality and clarity next season. When the leaves fall, those leaves go right to the bottom of your pond and start to decay, which throws off the ecological balance of your Koi pond. The skimmer may collect some of the leaves, but the basket should be emptied nearly daily in order to keep up. Even if you empty the skimmer basket daily, leaves will still fall to the bottom of your pond. 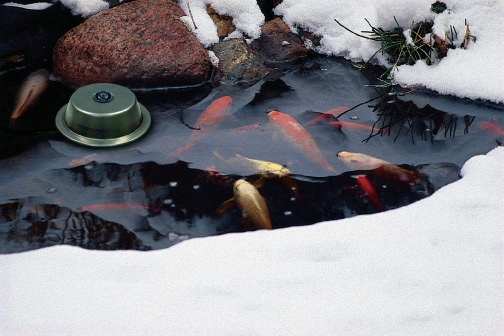 Here are some winter maintenance solutions we offer for your Koi pond. Pond Netting – The net will catch most leaves and debris that would otherwise fall to the bottom of your pond. We recommend installing the net prior to any leaves dropping. 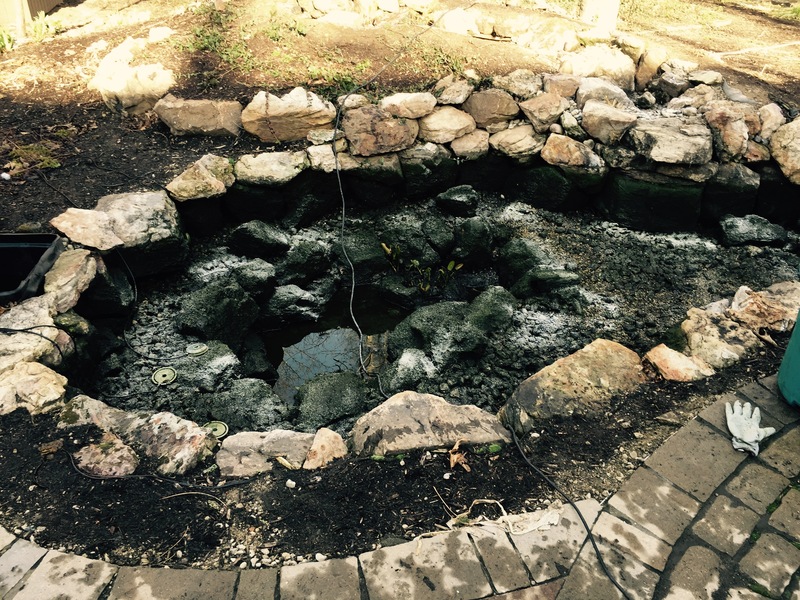 Pond Cleaning – After the leaves have fallen, we highly recommend getting a full pond cleaning to get the most enjoyment and beauty out of your Koi pond. Prices are based on the pond, so contact us to get a quote. It is crucial to pay attention to your Koi pond’s water temperature in the fall. When the water temperature drops below 55 degrees, and consistently stays at that mark, you must stop feeding your fish, and do not start feeding again, even if the temperature goes back up for a few days. This is crucial because the metabolism of your Koi fish starts to shut down, so they cannot digest any food. Since Koi do not have a stomach, but only a digestive tract, any food given to them when they start slowing down will lay in their digestive tract. This food can rot, which will cause death. Not what you want for all those beautiful Koi. Lets also consider what happens when your pond freezes over. Any organic matter decomposing in your pond will produce gasses that are toxic to your fish, creating a deadly water environment. Normally, this is not a problem because the gasses can be freely exchanged through the rest of the year. However, with a layer of ice on your pond, there is no place for these gases to go, which creates the toxic environment to your Koi. We recommend using a pond heater/de-icer on your pond, which will heat a hole through the ice, allowing for the gasses to be exchanged. If you are interested in a pond heater/de-icer contact us, we can come out and install it or we can mail one to you. Below is what the pond heater/de-icer looks like. It may not seem like an important winter koi pond maintenance point, but consider what happens to plants in the fall. The plant material dies, and can easily fall and build up in your Koi pond. 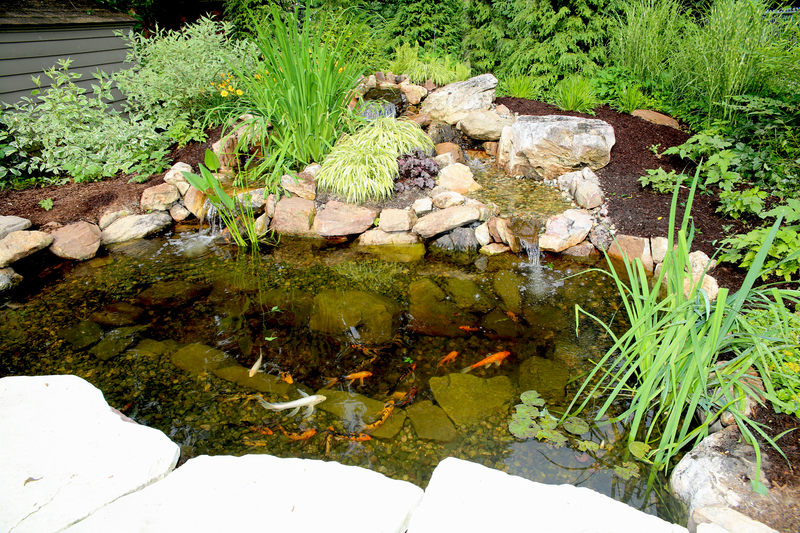 When you get your pond cleaned in the fall, this is the perfect time to also do some clean up with your plants. We recommend trimming back any dying plant material and also taking care of any necessary plant divisions. Contact us today for more information on plant divisions or pond plant care.